CCM Preparatory and Community Engagement offers a variety of music, dance and theatre arts programs for youth, teens and adults. Register now for summer 2019! 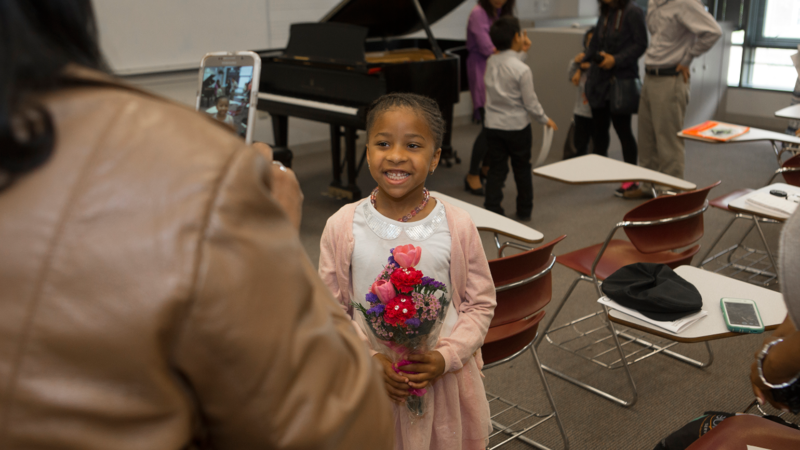 Arts enthusiasts of all ages and abilities are invited to register now for summer 2019 music, dance and theatre arts programs offered through CCM Preparatory and Community Engagement. CCM Prep provides enjoyable and accessible arts opportunities within a highly creative environment that educate and inspire the whole student. Courses are taught by CCM Prep and collegiate faculty members and guest artists. 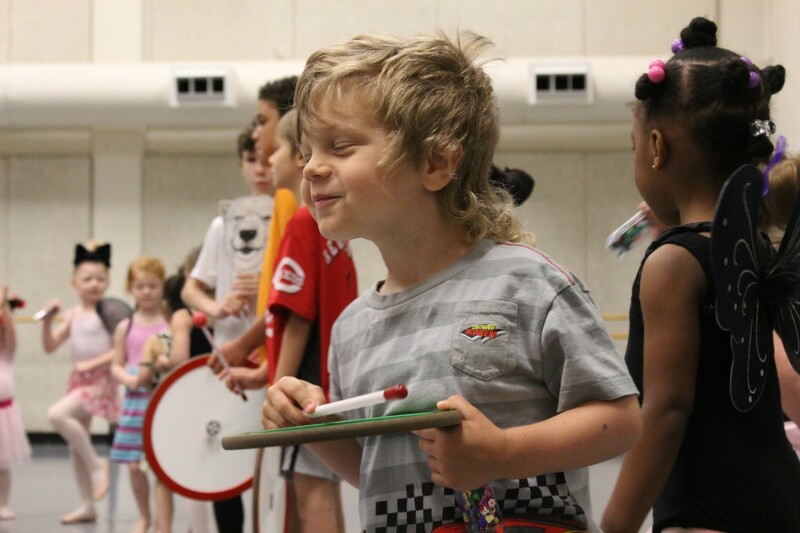 Summer programs include "Animal Crackers" or "Join the Circus" theatre arts and music workshops for young performers in preschool and elementary school. Middle and high school students can start summer on a high note by joining the "Summer Band Experience," hone their skills in dance classes or become a "triple threat" musical theatre star at "Camp Bravo." 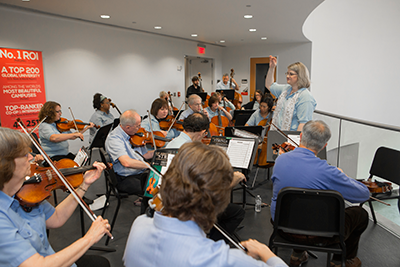 Adults can also enjoy summer arts experiences in the New Horizons Orchestra or by participating in CCM Prep's first intergenerational residential camp. "CCM Grand" is open to students and their grandparents who want to share and make new memories while experiencing dorm life at UC's Marian Spencer Hall. For more information, view the complete course offerings listed by age group below. Register for courses and view CCM Prep’s summer 2019 course offerings in the links below and at https://register.asapconnected.com/default.aspx?org=1185. Young students can explore their creativity in CCM Prep's summer programs. Stories about the circus inspire creative play, songs, movements and games for our youngest performers. Circus skills like juggling and walking on stilts are adapted for this age! Whether you join the circus or act on the stage, acting, singing, dancing and drumming are waiting for you at this jam-packed week of circus fun! At the end of the week, dazzle your family with a performance showcasing your new skills. Practice your instrument, gain new friends and have fun learning and reviewing skills and songs while improving your technique! CCM Preparatory faculty are planning a full week of classes, rehearsals, enrichment and games for Suzuki string students from pre-twinkle through Book 4 (students will be placed in age appropriate groups). Previous Suzuki experience is required. Start summer on a high note by joining CCM Prep's Summer Band Experience. Start your summer on a high note by playing in our band! 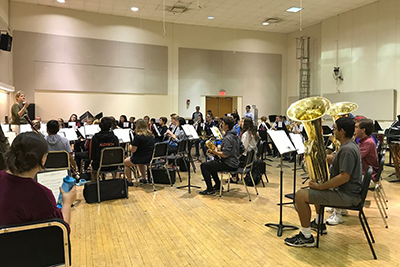 Spend each day learning new music, through band and small group instruction and developing your musical skills while practicing in a great environment! The band will be featured in concert at the end of the week. Open to all woodwind, brass and percussion players who have completed fifth through eighth grade and have been playing their instrument for at least one year. Prepare to wow family and friends at the end of this popular musical theatre camp. Learn valuable stage skills, tips and repertoire by our seasoned faculty while preparing for an exciting performance starring you! The camp culminates with a performance at 10 a.m. on June 8! No audition for entrance; audition for parts will happen at the beginning of the week. Please note: this camp is designed for students with previous experience and training in musical theatre. Prepare yourself for applause, cheers and rave reviews with our musical theatre camp. Begin your journey to becoming a triple threat with acting, dance and voice classes taught by the professional teaching artists of the CCM Preparatory faculty. Take a bow at the concluding performance! Please note: this camp is designed for students with little experience or are new to musical theatre. Students can sign up for CCM's Prep's Ballet Bootcamp or take drop-in or punch card ballet classes. Current CCM Preparatory students in these levels do not need to audition. New students should contact Jonnie Lynn Jacobs-Percer at 513-556-3214 or by e-mail at jacobsji@uc.edu for further information. Punch cards may be purchased at CCM for $60 for 6 classes. Summer ballet punch card classes, typically $17 each, are subsidized by the support of a generous donor. There will not be classes the week of July 1-6. 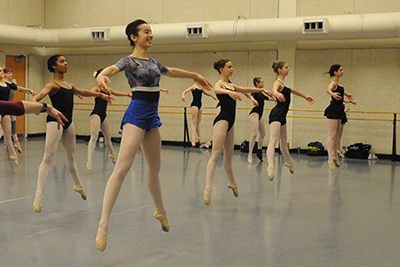 CCM Preparatory’s Back to Ballet Bootcamp is designed for dancers currently in levels 5-7 and offers comprehensive training for young men and women in ballet technique in our state-of-the-art facility. Looking for more high school summer arts offerings? Students can also study piano, jazz, ballet, musical theatre and more in CCM Prep's High School Arts Immersion programs. Learn more. Musicians rehearse in CCM Prep's New Horizon's Orchestra. Join us for two weeks of music making in July. Open to amateur adult string players at any level, we meet in the mornings 3 days each week for sectionals, large ensemble rehearsals and special topic sessions. The two weeks culminate in an informal performance. For those interested in additional music making, chamber music may be offered in the afternoon for an additional fee. Remember, share and make new memories here at CCM this summer at CCM Grand, our first intergenerational summer program. Grandparents along with their grandchildren ages 8-13 are invited to our first residential camp of this kind. Families will actively participate in courses taught by preparatory and college faculty that will inspire all ages and create memories for a lifetime! Experience dorm life circa 2019, and see CCM and UC with new eyes. We ask that an existing or previous relationship with CCM (college or preparatory) be established within the family. The dorm for this experience is Marian Spencer Hall. Earlybird discount: $325 per person. Lock in this rate by registering before March 15! Looking for more summer arts opportunities for collegiate students and adults? Study instrumental music, playwriting, opera, music education and more in CCM's Summer Programs. Learn more. Register and find more details for each program in the registration links included in the listings above. You can also register and find more information online. Find courses in the “A to Z” index or in the “Summer for All Ages” links included in the menu on the left. For more information, please contact CCM Prep at 513-556-2595 or ccmprep@uc.edu.